Finely crafted in the USA from select and better North American Hardwoods, hand scraped, sanded and ready to finish in either stain or paint. 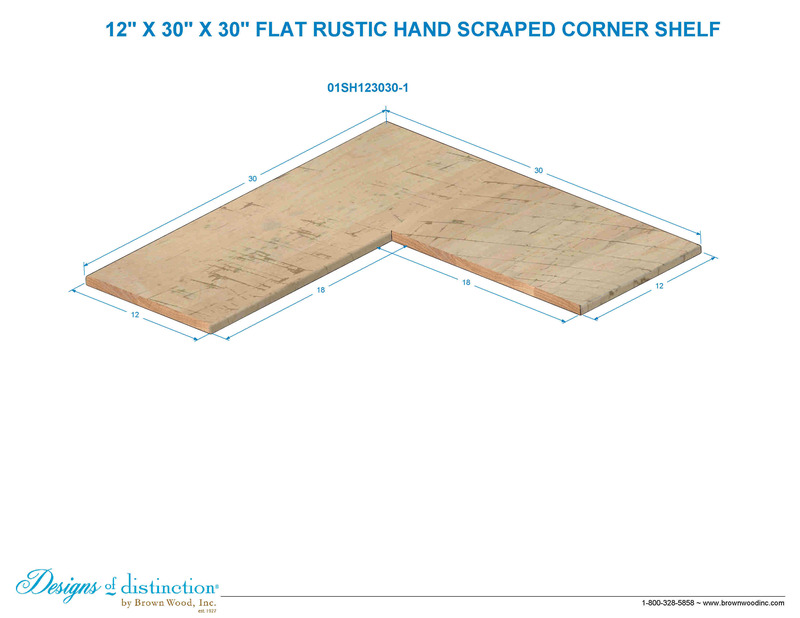 12" X 30" X 30"
Each shelf is textured and hand scraped to give the appearance of age and use. Open shelving is one of today’s hottest design trends! We’ve kept everything you love about reclaimed décor: tight knots, mineral streaks, and wear spots from years of use, but left out the dirt, nails and germs of old, reclaimed materials. Easily replace your kitchen’s upper corner cabinets with these beautiful 12″ deep corner shelves. Available in rustic and modern (furniture grade). Pair with our truss brackets or straps to complete Urban or Mid-Century designs. **Brackets not included with flat shelves. Easy to install using one of our Truss straps or brackets.